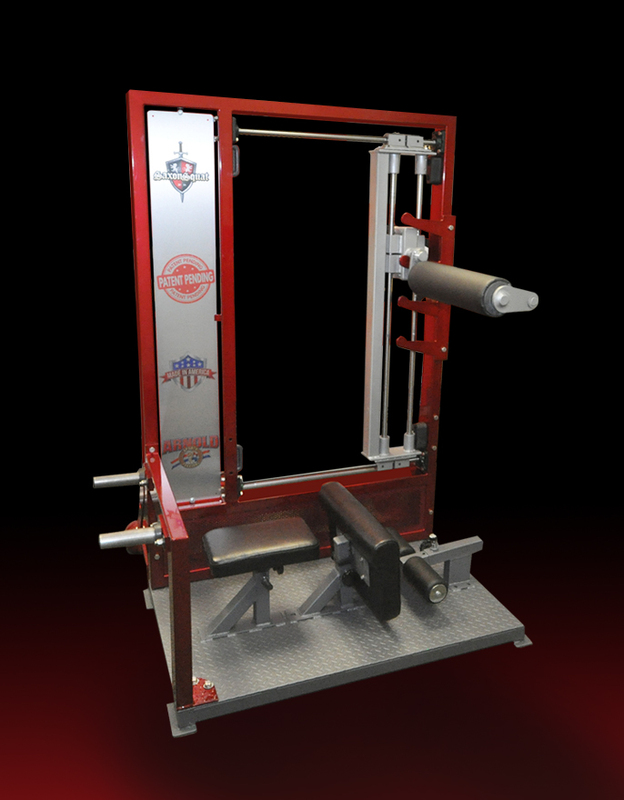 Atlantis Fitness Systems has engineered (patent pending) an innovative plate loaded front squat exercise machine that moves in a multi-directional trajectory with the user. 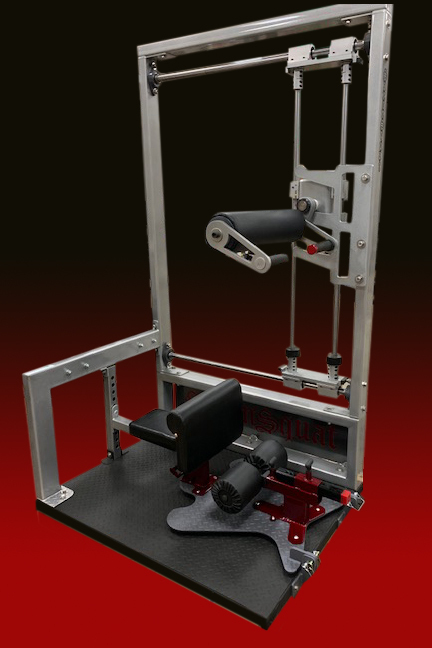 The chest roller pad with straight bar handle rotates axially around a swivel arm and makes front squatting more comfortable, effective and safer in all regards. 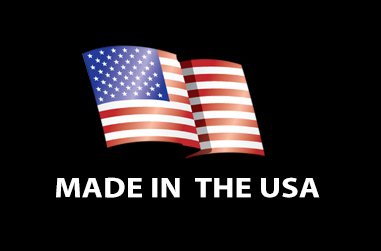 This user-friendly method of supporting the weight evenly distributed across your chest along with an ergonomic handle that moves pivotally with your body throughout the range of motion during the squat movement. 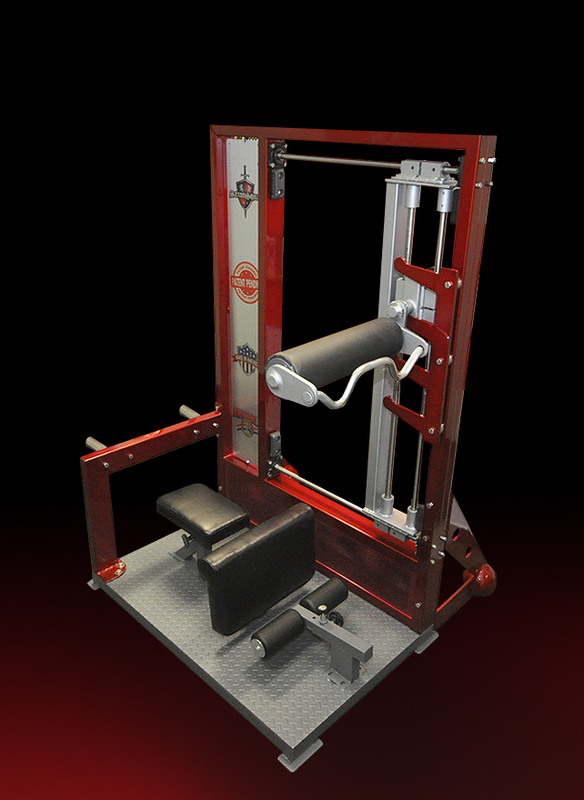 We incorporated a removable and height adjustable seat, thus allowing a version of box squats. Multiple varying height racking pegs ensure easy, safe racking and re-racking on every set. The weight horn is located opposite the roller pad to get that “true feel” squat feel as if it were a barbell loaded at the end of an Olympic bar. One-inch diameter stainless steel guide rods in both the vertical and horizontal axis connected to lightweight aluminum linear bearings, ensure an ultra-smooth glide action; thus eliminating any jamming and provides for a smooth multi-directional squat movement. Squats are one of the best exercises a person can do in the gym. They are consistently referred to in the same breath as deadlifts for the title of ‘King of All Exercises’. But for as great as squats are, many people consistently ignore one of the best squat variations out there: The Front Squat. The Front Squat is a compound exercise, meaning that multiple joints and muscle groups are involved. Although it’s primarily a lower-body exercise, it’s really a full-body lift. Everything from your feet to your arms have to work together to perform this lift correctly. Up until now, the only version of the front squat was taking a barbell out of the rack and like the name implies, the front squat is done with the bar placed across the front of the body. The bar sits under your chin, against your neck, while your shoulders and chest work to create a shelf to help keep the bar in place. This is both awkward and dangerous! You can either use a clean grip or a crossed arms grip but either will make it harder to control the bar as the weight gets heavier and many bars have been dropped whilst performing the exercise. To execute the front squat properly, you need to keep your elbows up and your abs braced. This will help keep you in a proper upright position as you move through the exercise and the load is displaced in front of mid-line, requiring stronger upper back and quadriceps to ensure an upright torso and positioning. For far too long, the front squat has served as the less popular of all the squatting versions. You can’t front squat as much as you can back squat, so ego plays a part in your selection. But this in the realm of quad-building is a catastrophic mistake. The front squat engages your quads to a greater degree and, because of the more upright body positioning required, hammers your core to its minerals. Front squats are much easier on your back and knees. Science shows you can work the same muscles targeted as the back squat while saving the lower back and knees. A 2009 study published in the Journal of Strength and Conditioning concluded that the front squat was as effective as the back squat in terms of overall muscle recruitment, with significantly less compressive forces and extensor moments. The results suggest that front squats may be advantageous compared with back squats for individuals with knee problems such as meniscus tears, and for long-term joint health. The study found that with a group of 15 trained individuals the front squat, even though it was performed with lower weight, was as effective in muscle recruitment as our heavier back barbell squat. So, you get the same muscle building and stimulating effects without the higher compressive forces that come with the back-barbell squat. Powerlifters and bodybuilders can increase leg mass and strength with using front squats as squatting alternatives. Look at the quadriceps development of Olympic lifters; most of it comes from slaving away for years at the front squat.